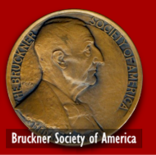 Hans Graf Receives the Bruckner Society of America's Medal of Honor. Hans Graf, the Austrian conductor who is now completing his tenure as music director of the Houston Symphony Orchestra was honored on December 2nd of 2012 when the Bruckner Society of America presented him with the Kilenyi Medal of Honor. The presentation took place at Jones Hall in Houston just before a performance of Bruckner's Symphony No.6. The medal of honor was presented to Maestro Graf by John Berky, Secretary of the Bruckner Society and John Proffitt, a member of the Society's board of directors who resides in Houston. Also participating in the presentation was the Orchestra's Executive Director and CEO, Mark Hanson. During his tenure in Houston, Graf conducted performances of the Symphonies 3-4 and 6-9 including the sketches to the Bruckner 9th Finale. He also performed the motet, "Ave Maria," the Mass No. 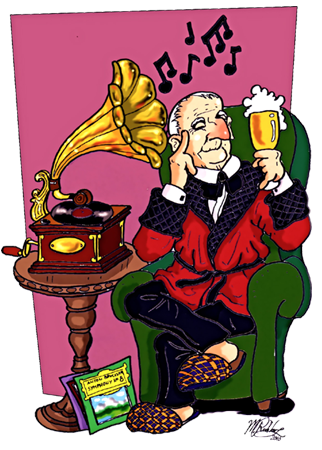 2 and the Te Deum. 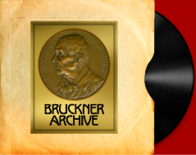 It is for his advocacy of Bruckner's music and his willingness to share it with American audiences that Hans Graf was chosen to receive the Kilenyi Medal of Honor. After the concert, friends and participants enjoyed a post-concert celebration at a local restaurant. The text of the presentation is offered below. Photographs from the event will be posted as soon as they are received.